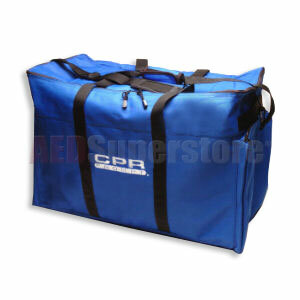 Original CPR Prompt Manikin Carry Bag. Large Size, Blue. Mesh divider for separate compartments for heads and bodies. Quality construction. Dimensions: 30" x 13" x 19". For use with LF06100U (Adult/Child 5-Pack).